Amateur film. Manipuri sword dance; old maharajah's palace; Bone ceremony; Rathjatra procession. Biography of the politician and how he rises from being a diamond-miner in Africa to become Prime Minister of Cape Colony. Travelogue of India; edited from material supplied by the Government of India. Scouts and cubs inspected by senior scouts (possibly a memorial occassion) - reel 1; scouts undertaking various typical scouting activities -reels 2 & 3. Film was probably made by V. Stilou de Piro M.D. - probably a local scout master. Travelogue of Singapore: harbour scenes, street scenes, Chinese quarter, Eurpean buildings, rubber plantation, etc. 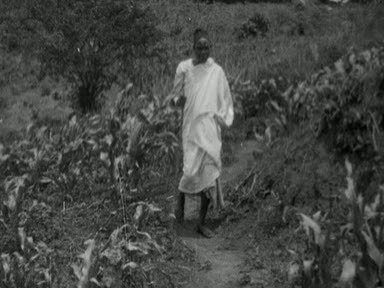 Instructional film for African audiences on the causes and prevention of hookworm disease. 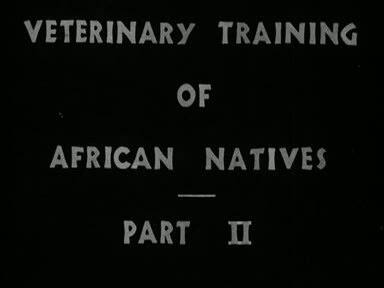 The training of students at the Tanganyika Veterinary Department, Mpwapwa. The wedding of Phyllis and John Ticehurst in Lagos, Nigeria on 12 October 1936; the first wedding to be filmed in the colony. Filmed scenes of Palestine to illustrate Biblical sayings and images.